Danny Boyle is officially confirmed for Bond 25. Emilia Clarke has high hopes for David Benioff and D.B. Weiss' Star Wars trilogy. Emily Bett Rickards has heroic hopes for Felicity in Arrow's next season. Plus, new footage from Jurassic World: Fallen Kingdom and The Expanse. Spoilers, go! Could Wonder Woman return in Wonder Woman Returns?Image: Warner Bros. Banner art by Jim Cooke. 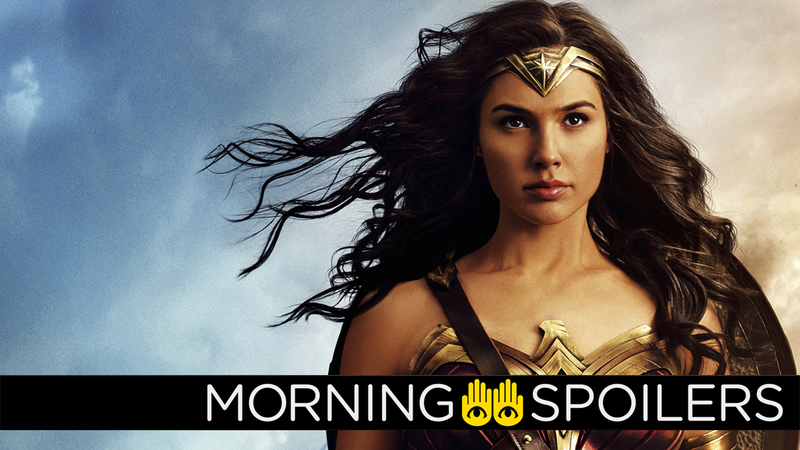 Domain Name Wire reports Warner Bros. has registered websites for the possible sequel titles Wonder Woman Arrives, Wonder Woman Cheetah, Wonder Woman Lives, Wonder Woman Minerva, Wonder Woman Returns and Wonder Woman Rises, as well as "Wonder Woman" followed by each year of the 1980s. Take your pick as to which could eventually become Wonder Woman 2's real name, but I'm going to lean towards Wonder Woman 1986, for no particular reason. Speaking with Coming Soon, Shane Black revealed The Predator partly borrows from Black and (Fred) Dekker's unproduced 1988 script, Shadow Company. 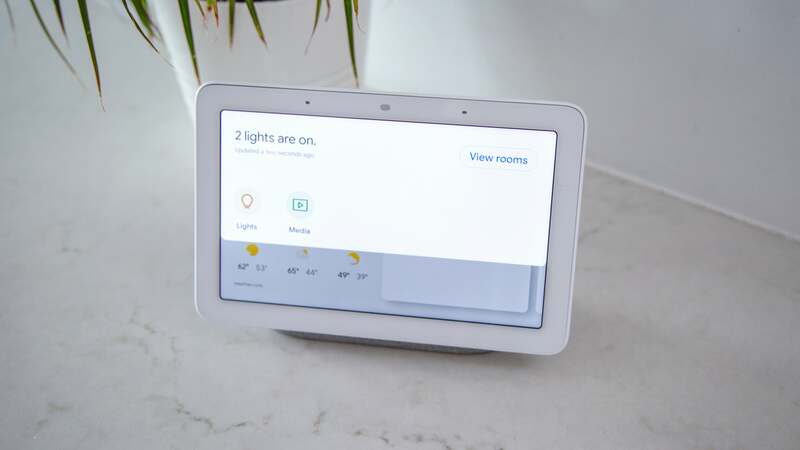 Partly yes and partly no. I don't think it's giving a lot away to say that to the extent that this happens in a small town, that it's a small part of the movie. They said well, 'it's set in the suburbs'. Hmm, no (laughter) I mean there's scenes that happen that are set in suburban streets, but the idea that it's some Mahjong club fighting an alien isn't how it's gonna happen. The latest TV spot reveals Blue's DNA is central to the creation of the new hybrid dinosaur, the Indoraptor, and the two are destined to duke it out in a child's bedroom five miles from the compound in which it escapes. 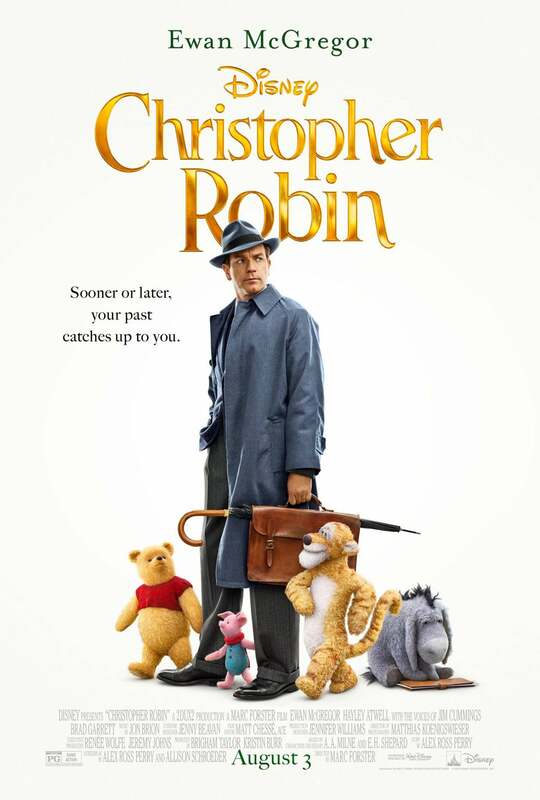 Ewan McGregor is haunted by Pooh and friends on another new poster from Coming Soon. Emilia Clarke anticipates the upcoming series of movies from David Benioff and D.B. Weiss will be "Star Wars on acid." [They will bring] what they brought to fantasy as a genre people are appreciating on a much grander scale. Putting all that creativity, all of that skill and all of that intellect into something that already is, or has, so much. I think it's just going to be Star Wars on acid. A gory, red band (and thus pretty NSFW) trailer has been released for Leigh Whannell's upcoming cyborg action film. Showrunner Todd Helbing confirmed to TV Guide that season five will introduce (surprise) another new incarnation of Harrison Wells. When I was up there shooting for the finale, [Tom Cavanagh] and I sat down and started talking about next season and a new character. I think we landed on one that's pretty funny and unique, and I think it will give Tom a lot of meat to chew on. Meanwhile, Emily Bett Rickards hopes season seven will have Felicity squaring off against supervillains instead of mothering children. I don't know if I would be interested in exploring that storyline right now with Felicity. I feel like she deserves a little something more than that, and I don't want that to be taken the wrong way. I'd just be interested in seeing her, I don't know, like, deal with a villain face-to-face for a consistent number of episodes? Spoiler TV has synopses for June sixth's two-parter, "God's Gonna Trouble the Water" and "The Kindness of Strangers." THE RETURN TO NEW ORLEANS — Ivy (guest star Shiva Kalaiselvan) reveals some startling news to Klaus (Joseph Morgan) about the dark magic that's been keeping him away from his family. Elijah (Daniel Gillies) turns to some unexpected allies to save Antoinette's (guest star Jaime Murray) life. Danielle Rose Russell, Charles Michael Davis, Riley Voelkel and Steven Krueger also star. Carl Seaton directed the episode written by Bianca Sams & Julie Plec (#507). Original airdate 6/6/2018. CHAMBRE DE CHASSE — As pressing matters rage on in New Orleans, the Mikaelson siblings find themselves forced to set aside their differences and work together to escape a "chambre de chasse." Joseph Morgan, Daniel Gillies, Charles Michael Davis, Riley Voelkel and Danielle Rose Russell also star. Kellie Cyrus directed the episode written by Beau DeMayo & Carina Adly MacKenzie (508). Original airdate 6/6/2018. 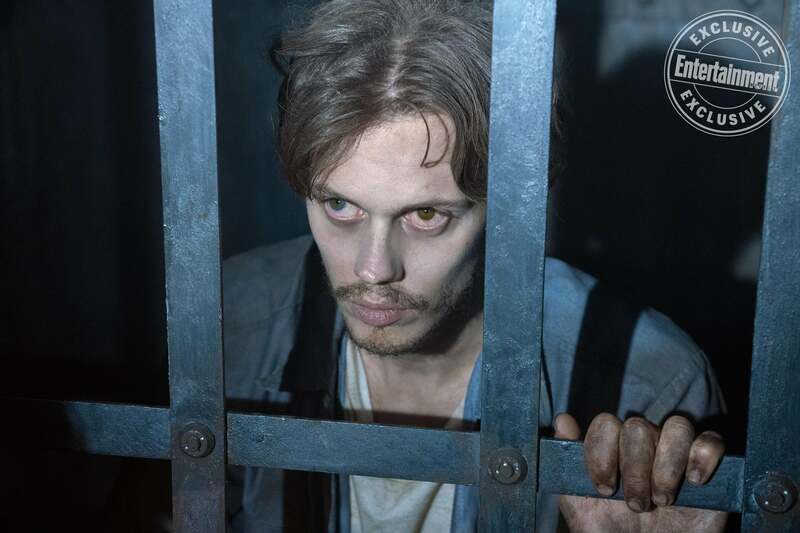 Entertainment Weekly has new images of Bill Skarsgård, Scott Glenn, Sissy Spacek and Andre Holland from the premiere of Stephen King's Castle Rock TV series. 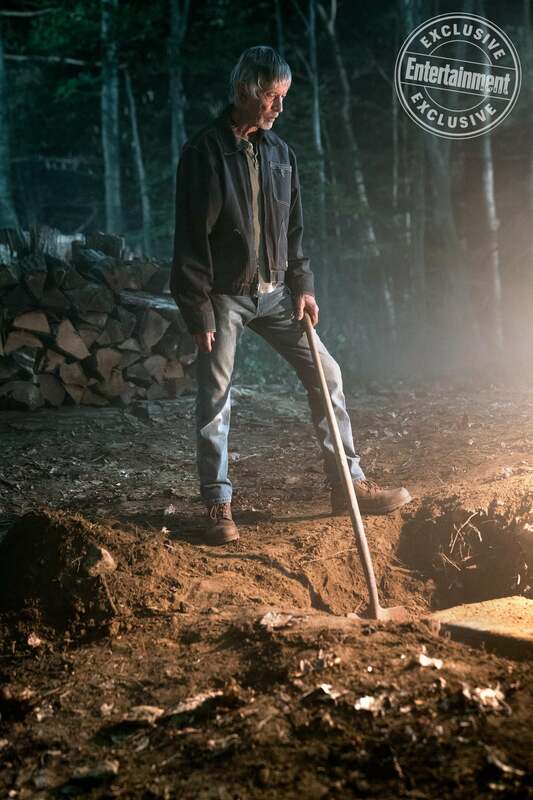 Meanwhile co-creators Sam Shaw and Dustin Thomason's told the outlet they envision Castle Rock as a "Fargo-like series in which each season not only matches King's tone and aesthetic, but also plucks characters and settings directly from his work." Production has begun on The Boys, according to director Dan Trachtenberg on Instagram. That Hashtag Show reports The Jungle Book production designers Doug Chiang and Andrew L. Jones have boarded Jon Favreau's live-action Star Wars series.